To ease the burden, we have tracked down ten top companies that are hiring this week from sales jobs to finance jobs, full-time jobs to part-time jobs. They hope you discover a job that is ideal for you. We know that your job search can get frustrating these days with more people trying to discover a job & fewer employment opportunities obtainable. Best of luck job hunting! Most people recognize Sears as the department store common to countless shopping malls. 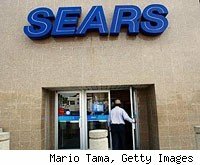 While their department stores are certainly popular, Sears Holdings operates several other brands as well. The company was the ninth-largest retailer in 2010, behind other giants like Wal-Mart, Target and Costco. Headquartered in London, England, Ernst & Young is one of the so-called Big Four accounting firms. The company’s activities consist mainly in doing financial audit work for other corporations. Most of the major U.S. accounting firms have been in a hiring frenzy as of late. Ernst and Young is no exception: In March it announced that it is looking to hire 7,000 employees from college campuses (2,500 of whom will be interns) and an additional 6,000 experienced workers. The company is currently celebrating the 25th anniversary of its Entrepreneur of the Year program. For the last several months the company has been announcing its regional winners, with the national title to be awarded in November. Founded in 1920, Snap-On designs, manufactures and markets professional-grade tools in the United States. They operate on a franchise model, with dealer vans that allow for mobile showrooms. This sales and marketing method has proven successful, and is the grounds for the company’s entire business model. 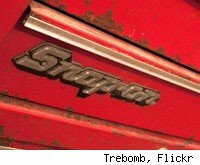 Snap-On has a history of involvement in the automotive and motorsports industries. Their tools are popular among mechanics, and the company has traditionally sponsored various motorsport teams in the U.S., including Roger Penske Racing and Penske’s Sprint Cup Series team. The company recently announced a credit program for prospective franchisees. This program will allow for financing of the start-up costs of a Snap-On franchise for a minimum of $37,000. The company was founded in 1955 by brothers John, Paul and Bill Amos. In 1964 the company pioneered the concept of “cluster-selling” insurance, in which sales agents would go to corporate offices to give groups of workers insurance presentations, as opposed to presenting each person individually. The company was recently named to IDG’s Computerworld as one of the Best Places to Work in Information Technology for 2011. This is the 12th time that Aflac has achieved the distinction of being one of the top 100 organizations in terms of compensation, benefits, training and career development. 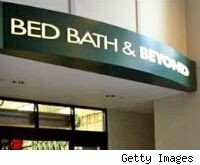 Founded in 1971 and headquartered in New Jersey, Bed, Bath & Beyond has achieved success thanks to a unique blend of merchandise, store layout and management techniques. The company has over 1,000 stores and operates under a few brand names, including Bed, Bath & Beyond, Christmas Tree Shops and Harmon. They purchased Buy Buy Baby, Inc. in 2007, in order to widen their customer base and better appeal to prospective and current parents. In June, Bed, Bath & Beyond announced a partnership with actress Diane Keaton to offer a new line of stoneware called K by Keaton. The price range for the line starts at about $5 for individual pieces and goes up to roughly $60 for a 12-piece set. Keaton has indicated that the inspiration for the design comes from her own experiences. After having broken many a plate herself, she has come to appreciate sturdy dishes adorned with simple designs. Wells Fargo is the fourth-largest bank in the United States by assets, and the 11th-largest company in the country. Headquartered in San Francisco, they employ nearly 300,000 and have over 70 million customers nationwide. The company has been in the news for their ongoing merger with Wachovia Bank N.A. 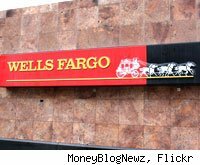 They plan to complete the integration between all Wells Fargo and Wachovia branches by mid-October of this year. 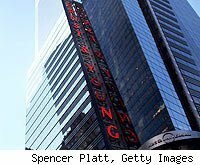 Verizon Communications, headquartered in New York, N.Y., is a Dow 30 company that employs over 196,000 worldwide. The company provides services to 96 percent of Fortune 1000 companies as well as many governments. The company’s wireless division, headquartered in Basking Ridge, N.J., is actually a joint venture of Verizon Communications and the British telecom company, Vodafone. Verizon Wireless offers voice and data services in over 200 destinations around the world. The division employs over 85,000, including those who work at some of their more than 2,000 stores and kiosk locations. Verizon was recently named by CollegeGrads.com as the No. 3 company for entry-level hiring for the year 2011, looking to hire 4,250 new grads this year. While most companies on the list are seeking engineers, business students and marketing majors for the coveted spots, Verizon seems to be focused on creativity, trying to attract fine arts, music and liberal arts majors. 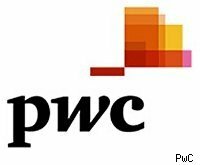 PricewaterhouseCoopers (now referred to as PwC) was formed in 1998 by the merger of English firms Price Waterhouse and Coopers & Lybrand, both of which originated in London in the mid 1800s. PwC offers services in a variety of fields, including human resources, crisis management, and tax and performance improvement, to clients across 26 industries. The company maintains one of the world’s largest accounting networks, with over 750 offices stretched across roughly 150 countries. As of 2010, this network was maintained by a worldwide staff of over 161,000. With such size, it’s little surprise that the company is listed among the so-called Big Four accounting firms, along with Deloitte Touche Tohmatsu, Ernst & Young, and KPMG. Perhaps most famous as the company that counts the Academy Awards votes, PwC announced in April that it is planning to hire 45,000 new employees this year. Ten thousand of these employees will be for U.S.-based positions. Of these openings, it seems that about 3,900 are slated for entry-level hires. Founded in 1912, the company provides a range of insurance products to individuals, which cover personal property such as automobiles, homes and valuables. Liberty Mutual also offers consumers personally liability coverage, as well as life insurance and annuity products. Additionally, the company provides an array of commercial products, such as workers compensation insurance and corporate automobile insurance, to both mid-size and large companies. Currently ranked No. 82 on the Forbes 100, the company employs roughly 45,000 worldwide. 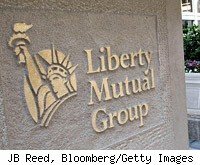 Liberty Mutual is the third largest U.S.-based property and casualty insurer, based on 2010 revenues, trailing only Berkshire Hathaway and AIG. 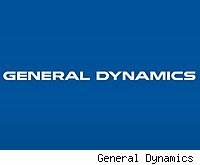 General Dynamics is a defense contractor specializing in both naval and land based combat systems, as well as information systems. In the last 15 years or so, the company has grown quite a bit through acquisitions. In 1997 the company started purchasing companies with expertise in the information technology field. Since then, the company has purchased more than 50 companies. All these acquisitions have greatly increased the size of their workforce. In the last 15 years, the company’s workforce has grown roughly 300 percent to its current size of approximately 90,000 employees today. The company’s NASSCO division was recently awarded a $744 million contract by the U.S. Navy to build Mobile Landing Platforms (MLPs), which will be built at the company’s shipyard in San Diego. Good article. 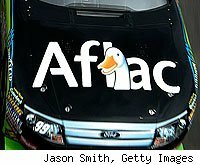 I get calls daily from AFLAC. Similar to AFLAC’s support and payscale, a newcomer is on the block. I am recruitiing sales folks NationWide for North American Power. This is th first green energy supplier that will be able to market products and green energy initiatives in ALL 50 States. Most other companies are regional… and they charge fees to representatives for the priviledge of working for them. No INVESTMENT/NO RISK, just roll up your sleeves and get to work. North american power: your work is good, your aim is good. I like it very much and appreciate it.